In every field, there’s a professional and there’s an effective professional. The distinction between the two are factors that mainly have to do with both their inherent and taught attributes. Property inspectors are no different and get the most out of their careers when they reflect specific traits. As you continue to grow in this profession, be mindful of the qualities that separate the mediocre from the outstanding. The sooner you take notice, the better off you, your client base, and your prospective customers will be. Sticklers for details have a promising future in this industry. 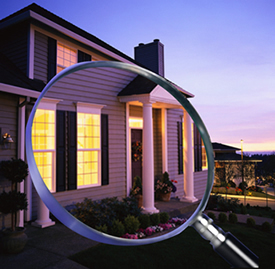 You must understand how to seek out the obvious, as well as inconspicuous factors, particularly when it comes conducting home evaluations. These processes involve investigating the conditions of several electrical and structural components of a residence. You have to know how to observe all areas with a critical eye in order to deliver a precise final report to your clients. Fortunately, the use of the latest property inspection software allows you to prepare more in-depth feedback. Otherwise, you’ll leave room for discrepancy and could have a complaint on your hands, as well as a drop in your client base. Going with the frequent flows of change is also critical to your success. Over the past few years, this field has evolved and incorporated many new developments that professionals are expected to grasp and utilize. The presence of digital inspections, for instance, has become one of the latest trends. Downloading property inspection software can prove to be more profitable for your small business and earn the confidence of tech-savvy consumers who appreciate this kind of innovation. Also, being flexible with your work hours and working around clients’ schedules can prove to be beneficial. Clients respond better when they feel you’re attempting to accommodate them and have their needs or interests at heart. Silence isn’t always golden, especially in an industry where it pays to be able to give feedback well. Half of your time as an inspector might be spent doing behind-the-scenes tasks, such as paperwork and research, which typically doesn’t require that much dialogue. However, the other half of your time is dedicated to conducting home assessments and interacting with clients before, during, or after the process. A victorious professional in this realm understands the power of communication and how to make a meaningful connection with people. It’s important to have the ability to blend being personable and understanding with firmness and objectivity. You can easily learn new ways of fine-tuning your communication skills by taking advantage of the networking events, industry workshops, and mentoring programs that are offered and promoted within reputable inspection associations. You can have all the skills and know-how in the world for a career in property inspection, but none of it makes a difference if you don’t know how to stick to your game plan and meets goals on a regular basis. This requires hard work and discipline which will help your business grow and stand the test of time. Being able to manage your time wisely and create a work environment that’s free of distraction can only add to your triumph as a leader in your field. Having a keen understanding of the overall climate of your industry is important as well. Those who know how to tap into a trend before its even created or popularized are ultimately the winners in property inspection because their visionary approach allows them to see what others fail to recognize. This is an important skill to have, especially when it comes to the introduction of new developments in property inspection software, as well as the state of the housing market.